Take 5% off! Enter code TOUCH5 at the checkout! More on the Touchstone Whisper Lift II Pro TV Lift with Swivel for 60 inch Screens 23501 below. Touchstone's Whisper Lift II Pro Advanced brings all the reliability and value of the industry leading Whisper Lift II TV Lift Mechanism to a lift designed for the pro-user. These advanced features include lift height memory, an IR sensor for universal remotes, a 12 volt trigger connection for use with automated systems and a manual 60 degree swivel. The Whisper Lift II operates by using a single piston actuator in an enclosed system for completely safe operation with virtually zero wear and tear. The steel external casing of the lift provides added protection for the lift internal parts, which keeps it clean and free of dirt and any debris. Don't be confused by more expensive TV lift mechanism claiming to have more a better lift based on the price they are charging. The Whisper Lift II is durable, quiet and reliable. Touchstone lifts usually work on a hinge, but some woodworkers have requested a bracket that lifts the lid up with the TV for their custom designs. Touchstone now offers a lid mount for clients looking to use the Whisper Lift in a "floating top" installation. 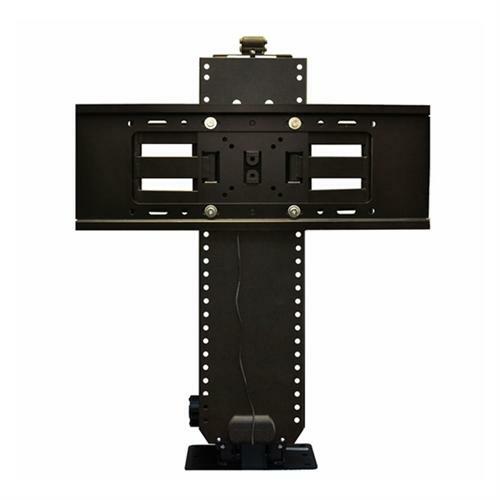 You can upgrade the Whisper Lift II PRO Advanced TV Lift with Touchstone's new add-on component shelf to store your cable box, game system, DVD player, and other components. The add-on component shelf attaches to the TV lift system directly below the flat screen TV and raises or lowers into the cabinet along with you TV when remotely activated. 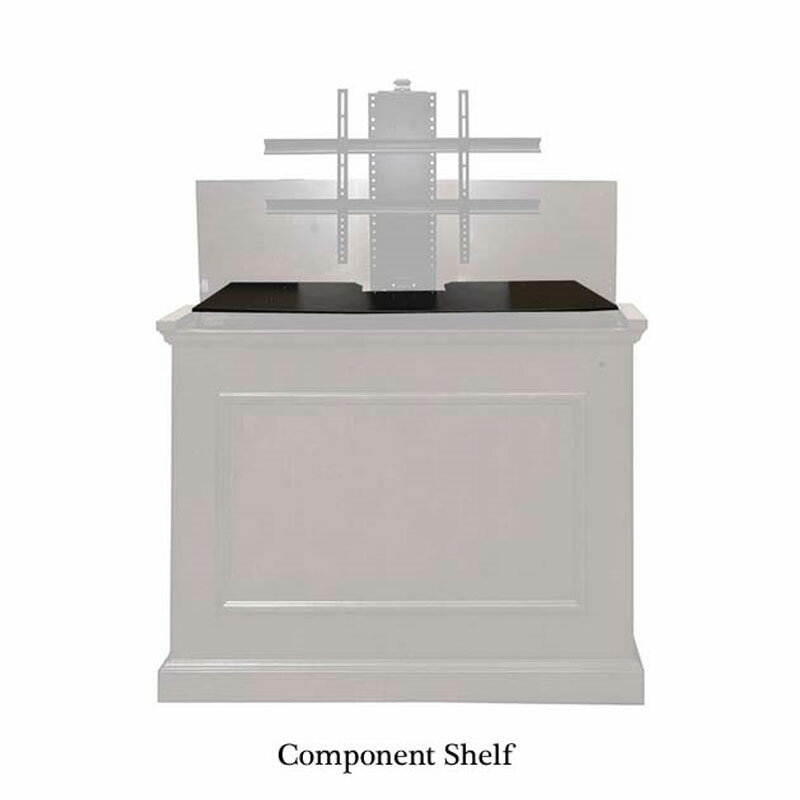 The shelf provides an area of 16" W x 9" D on both the left and right side to fit a wide variety of multimedia components. Just select the add-on component shelf option when placing your order. Height: 32 - 65 in. Range of Screens Supported: 33 to 38 in., 39 to 42 in., 43 to 50 in., 51 to 60 in.